The Herd Foundation, incorporated as the 173d Airborne Brigade Association Foundation in 2006, is a 501 (C) (3) organization. The foundation traces its roots to the 1970′s with simple donations earmarked for college scholarships. Over the years, the scholarship fund grew with more awards and then the world changed with 9-11 and the War on Terror was in full swing and the 173d Airborne Brigade jumped into Iraq. We learned from each deployment and the foundation become a 501 (C)) (3) organization with a broader impact and scope in honoring and supporting past, present, and future generations of Sky Soldiers and their families. The “Herd” is a nickname used by pride by veterans and members of the 173d Airborne Brigade. The 173d Airborne Brigade Association Foundation is thus nicknamed the Herd Foundation to connect the rich heritage and legacy of courage and valor of the 173d Airborne Brigade across many generations of Sky Soldiers as depicted by the 2012 painting of the first commander, Brigadier General Ellis W. Wiliamson and Col. Andrew Rohling, commander of the 173d Airborne Brigade Combat Team by Willard Reader of Portsmouth, Ohio. The Herd Foundation strives to preserve the legacy and rich heritage of the 173d Airborne Brigade across several generations of Sky Soldiers. The foundation is to serve as a comprehensive extended community of Sky Soldiers to support their fellow Sky Soldiers in active military service, honor the Sky Soldiers who made the ultimate sacrifice for this nation, embrace the families and children of Sky Soldier Fallen Heroes, and assist the Wounded Warriors through their recovery and rehabilitation. 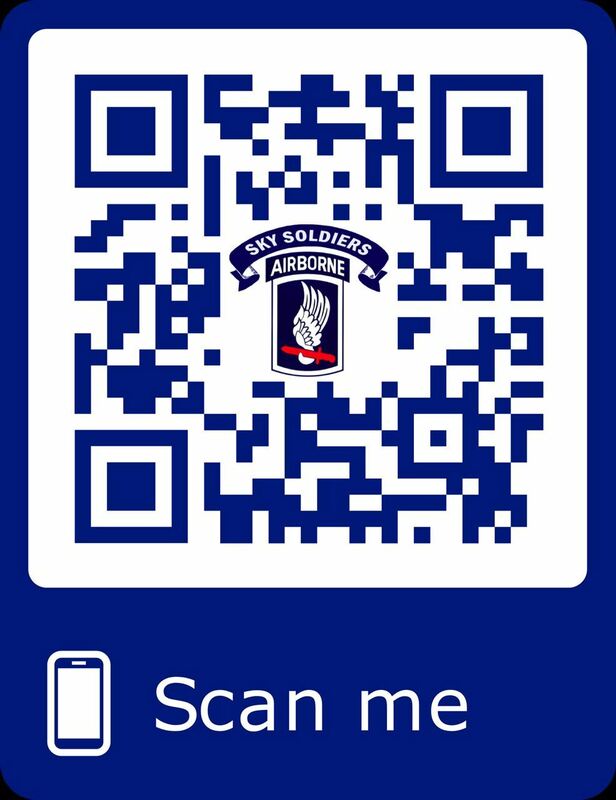 The foundation commits its funding to strategic priorities to meet the needs of the 173d Airborne Brigade Combat Team, especially those who were wounded or killed in action or as a result of a service related cause. The Herd foundation fulfills its mission by providing core signature programs: the 173d Airborne Wounded Warrior Project, Bereavement and Gold Star Program, and Scholarship grants. The success of the foundation is rooted in the dedication and commitment of the presidents, officers, and members of more than 25 active 173d Airborne Brigade Association Chapters across the United States, Europe, Australia and New Zealand and the close cooperation between the foundation and the central command of the 173d Airborne Brigade Combat Team in Vicenza, Italy, shown below at the 173d Airborne Annual Formal Ball at Edelweiss located in Garmisch-Partenkirchen, Germany on April 21, 2012. 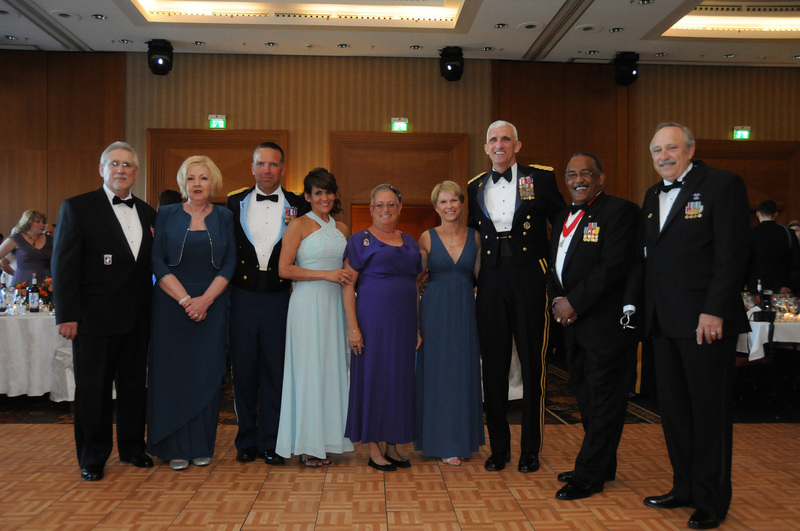 From left to right: Roger D. Conley, foundation treasurer, and wife Lavina; Col. Andrew Rohling, commander of the 173d Airborne Brigade Combat Team, and wife Aly; Debora Yashanski, chair of the bereavement and gold star program, Lt. Gen. Mark P. Hertling, commanding general of U.S. Army Europe, and wife Sue; Roy Scott, Jr., foundation secretary and president of the 173d Airborne Brigade Association; and Eric Hitchcock, foundation president.